You can purchase the Nerds online on Amazon for a higher price. Or I also came across them in Khols in during the holidays. I am not sure if they stock them all year or not. Great Photo – Thanks for posting! 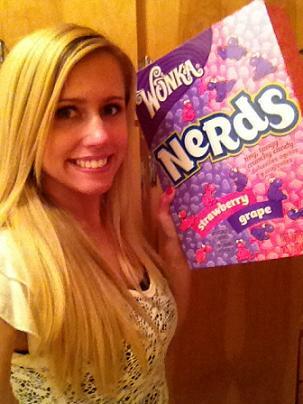 what’s the Name of the Store or Location you saw the giant box of nerds?? I’m not 100% sure, as I went so many places in Vegas in so little time and never knew where I was. I saw these nerds at Khols the other day if you are looking for them!